So does anyone carry something other than your logbook? Any idea what the FAA would deem acceptable as "other evidence?" This is one of those questions that probably shouldn't be asked of the FAA, lest we not like the answer. I'd prefer not to carry my actual logbook on flights, lest I screw up and leave it in some rental aircraft or spill my beer onto it during a rough landing. I'm thinking that a photocopy of the logbook endorsements would suffice. Either make a photocopy or take a picture with your phone. Personally, I would not joke about flying and drinking. The question about "logbook ot other evidence" question intrigued me as well. Sooner or later, "stuff" happens and I expect something may/will happen to my logbook. 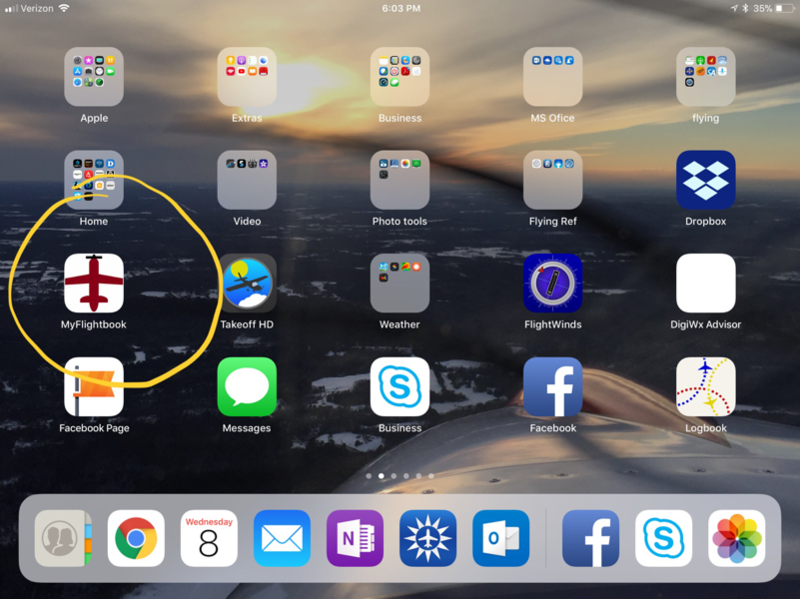 My solution was to download the "My Flightbook" app and make duplicate log entries in it as well. It also can record endorsements. This way I have access to a copy of my logbook on my phone and the small android tablet I keep in the flight bag. Have no idea if it officially meets the FAA "other evidence" criteria, but it is convenient. I have pictures of my log book on my phone. Both as a handy reference and a backup. rcpilot wrote: I have pictures of my log book on my phone. Both as a handy reference and a backup. Same here, plus I started using the electronic logbook in Garmin Pilot. It automagically logs each flight, plus you can add instructor endorsements to it. Some of the other iPad apps have similar functionality. I have not filled out a physical logbook entry in about a year and a half. TimTaylor wrote: Personally, I would not joke about flying and drinking. Better to joke about it than to actually do it. I had two card size documents with the logbook verbiage for VH greater the 87 Knots and airspace sign off for B, C, D signed, placed back to back and the laminated them. They are exact copies of my logbook entries I carry them in my wallet. 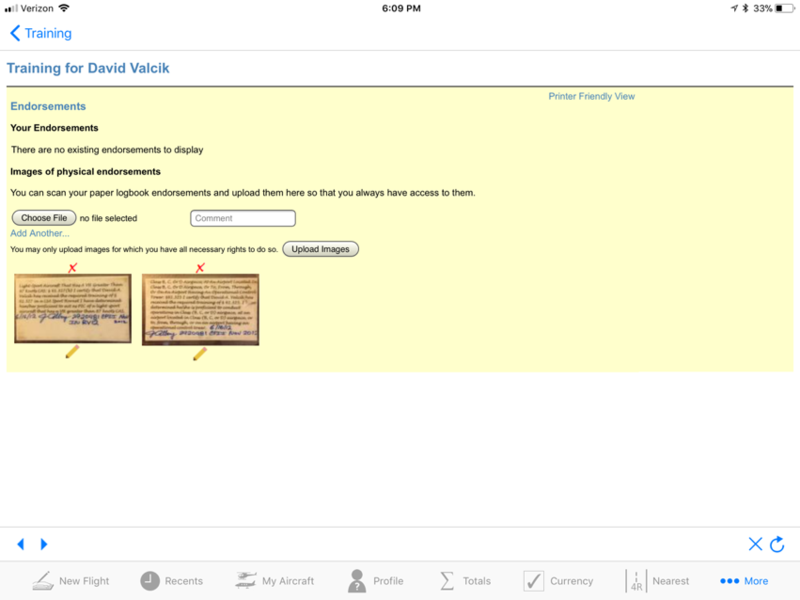 Also I have transitioned 4 years ago to an electronic logbook and photos are attached to the endorsements area - I use MyFlightbook, Screen shots below. I was redirected to this post and had a better look through Foreflight. It turns out you can add endorsements and photos into your logbook -- so the paper can stay safe at home. Ill be doing this tonight.